The resistance trainer comes with an agility speed later. 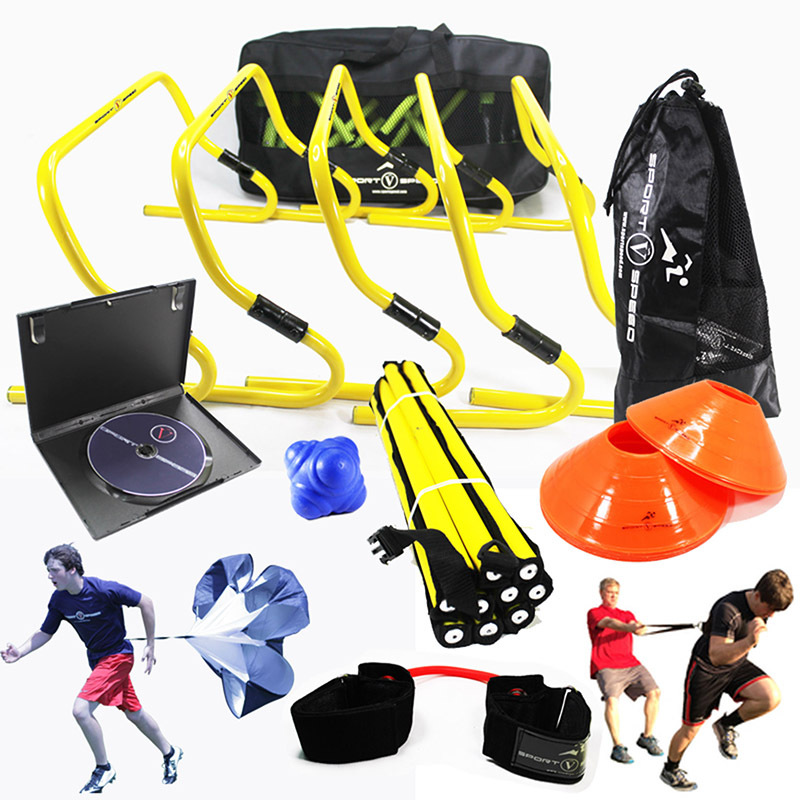 Used together, they help to maximize strength, speed, and vertical jump. The SportSpeed Over-Speed Accelerator is an intense device to challenge and enhance speed through over speed training. This device is used to cause over striding. It is an advanced drill and should be used with adult supervision. If you train one day you should rest from this drill the following day. It helps to maximize strength, speed, and vertical jump. It can be used to train at any angle. One belts attaches to the runners waist and one belt attaches to the partners waist. The partner is able to control the resistance by either slowing down or speeding up.